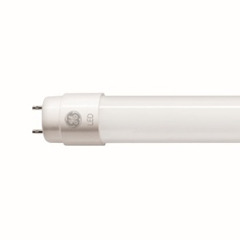 GE Lighting recalls Cool White Universal T8/T12 LED tube lamps due to the pins on one end of the lamp can be energized during installation/removal, posing electric shock and electrocution hazards. 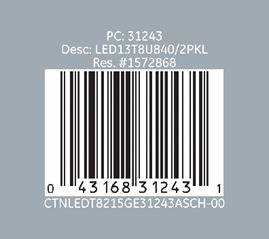 This recall involves GE Lighting's 31243 LED13T8U840 LED two pack tube lamps. These units are most often used in garages, basements, workshops and utility rooms. The GE logo and model information are printed on a label near the tube's base. Consumers should immediately contact GE Lighting to receive instructions on safely removing the LED tube lamps, and to receive a refund in the form of a $17 gift card. Consumers should make sure the light switch is "off" before attempting to change LED tube lamps. Consumers can contact GE Lighting at 800-338-4999 from 8 a.m. to 8 p.m. ET Monday through Friday, email at lightingconcerns@ge.com or online at www.gelighting.com and click on "Product Safety Information" for more information. The lamps sere sold exclusively at Lowe's stores nationwide and Lowes.com from approximately November 2017 through April 2018 for about $15.